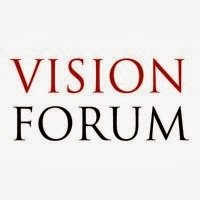 We have recently received the news that Vision Forum, the company which holds the rights to the popular Jonathan Park audio drama series, is closing its doors. The reason for the closure is due to some very unfortunate circumstances which you may read about in a few blog posts on the Vision Forum website if you wish. The future of Jonathan Park is a bit uncertain at this stage, but one of the co-creators of the program, Pat Roy, said he believes that "the Lord may be raising it up for another chapter." We do not have any further information to share at this juncture, but we will share any updates to this story as soon as we have something that can be confirmed.